The right space for your lifestyle is waiting for you here at Whispering Woods. You’ll have your pick of one, two, and three bedroom homes, each stylishly finished and equipped for everyday convenience. 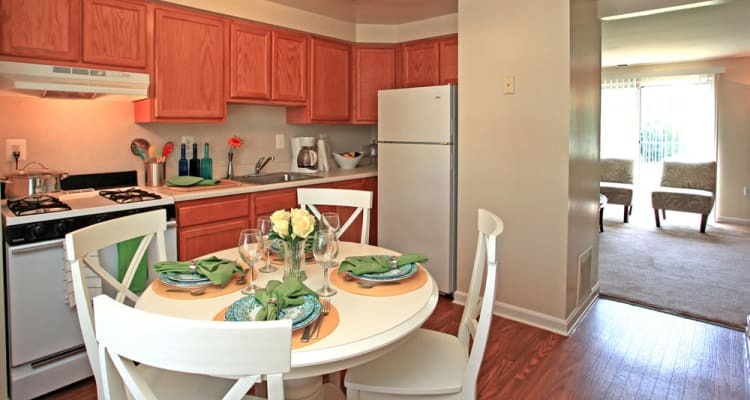 Our one bedroom townhomes for rent in Middle River offer 644 square feet of living space. If you’re looking for a little more room to spread out, you’ll enjoy our two bedroom townhomes measuring 760 square feet. We also offer three bedroom townhomes in three unique layouts. The three bedroom, one bathroom townhomes measure 858 square feet. Those looking to maximize their living space will find comfort in our spacious three bedroom, two bathroom townhomes, offering a generous 1097 square feet for you to enjoy. Are you ready for a pet-friendly townhome in a charming setting? Whispering Woods townhomes are just that. Convenient to downtown Baltimore and walking distance to public transportation, these floor plans are designed to help you live better every day. If you’re ready to explore your favorite floor plans in person, call today for a personal tour of Whispering Woods.